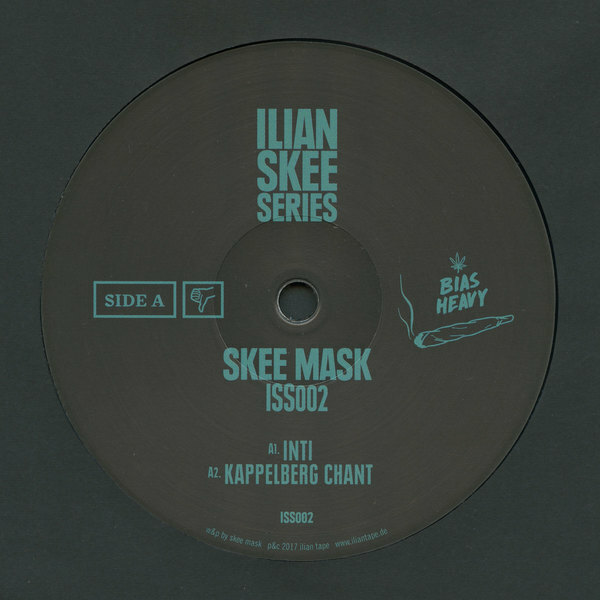 Ilian Tapes’ not-so-secret weapon rolls out four deep and supple breakbeat techno peaches on his very own Ilian Skee Series, in suit with the 2012 plate from earlier in 2017. This is the most impressive thing we’ve heard from SM or the IT gang in ages. Striking a fine balance of depth and diversity that’s hard to ignore, he stealthily elevates the pressure from the rippling, amphibious sidewinder Inti, thru the dry and nervy jungle techno shake-down Kappelberg Chant, to heart-rending lushness in the thick synth strokes and eddying bass of Routine. But if there’s any one track that you really need, it’s the magnificent Street Lvl Dub, where he pushes the tempo up to proper jungle techno tempo with a breathless flux of footwork informed hi-hat shivers and Lee Gamble-esque junglist geometries.